Ever since I moved from Los Angeles to New York two years ago, I’ve had to adjust to, well, a lot. Taking the subway instead of cruising—just kidding, sitting in traffic—in my Prius, for one. The weather, for another. Unlike L.A., New York has definable seasons, with sweltering hot summers that melt into crisp fall days that transition to bleak, cold winters. I’ve currently been shivering through the latter and dealing with the slew of beauty problems minimal sun and 30-degree temps have brought on (see: my adult-onset eczema). Gone are the days when I reveled in being sun-kissed year-round, when I could bare my legs in February and not blink twice. If I did that now, not only would I probably suffer frostbite, but I'd most likely also blind everyone in my near vicinity with my paleness. Hidden underneath layers of Heattech for weeks, my legs have slowly turned from turmeric-latte golden to the shade of stale marshmallows. Don’t get me wrong—there’s nothing wrong with being pale. In fact, my Chinese grandparents would definitely approve of my current pasty situation and probably throw one of a visor at me as an extra precaution. I personally just feel more confident when my skin tone has a bit of a healthy glow. Yes, I could get a spray tan, but I usually don’t have the time (or energy). And sure, there is a slew of sunless tanning products on the market, but I don’t always want to deal with the time it takes for them to dry down and then rinse off. Plus, I’m trying to keep my new white Brooklinen sheets as white as possible. 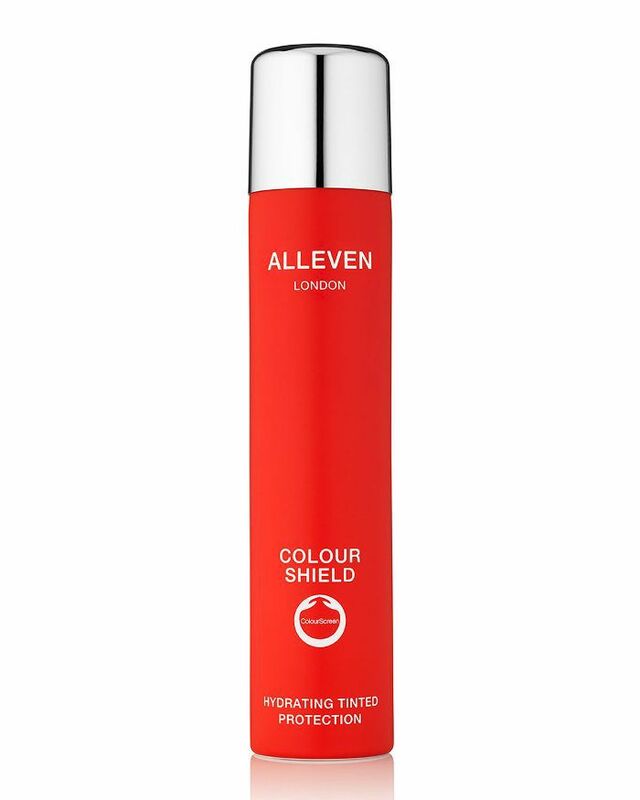 This is all to say that I’ve discovered a product that has solved my pasty-winter-skin problem, and it’s so easy to use even the clumsiest (aka moi) can master it with ease. That would be Pradas Glow’s Bronzing Skin Enhancer, an instant body tint that comes in mousse form. 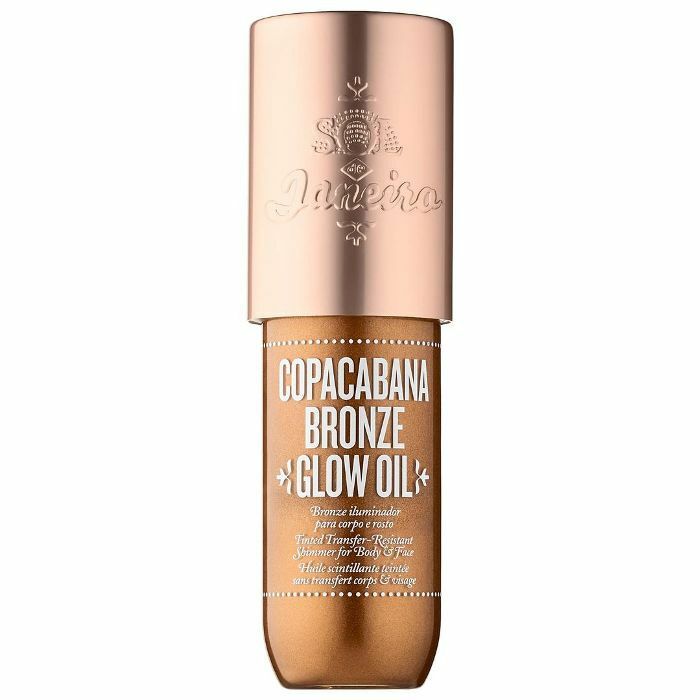 Created by celebrity spray tanner Kristyn Pradas (she was Ariana Grande’s tour spray tanner and also did all of the Victoria’s Secret Angels before the show this year), it’s a wash-off bronzing mousse that you apply all over your body for an instant post–St. Tropez vacation glow. (I’ve never been to St. Tropez, but I’ve seen Instagrams and know that everyone comes back looking very healthy and sun-kissed.) 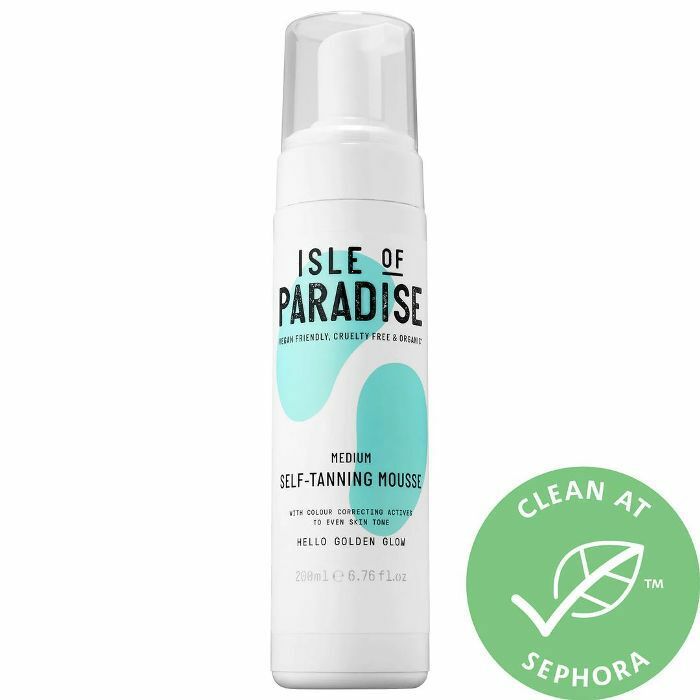 It’s the same type of product as your favorite top-selling instant self-tanning mousse, but without any DHA—thus, no commitment or waiting around for the color to develop or dry down and definitely no self-tanner smell. Like me after three tequila sodas, what you see is what you get. 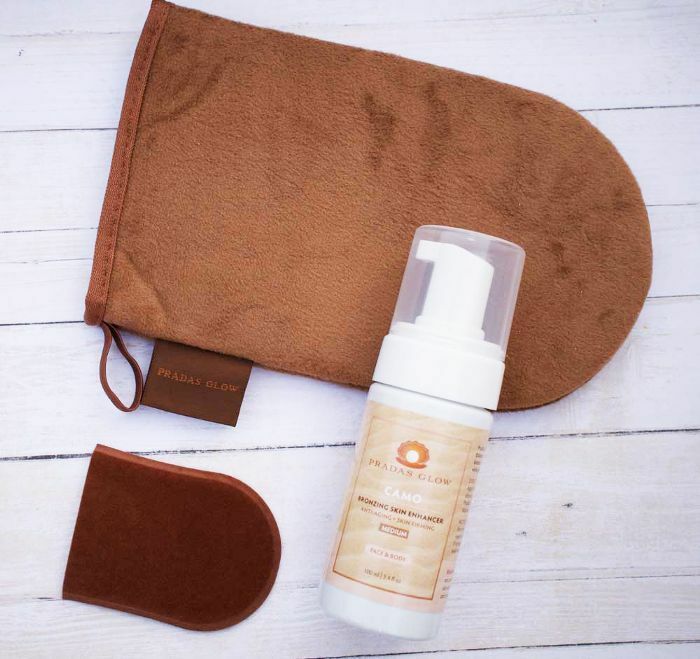 It comes with a luxurious-feeling mitt for your body and a mini one for your face (cute), and you can choose from three shades to select the intensity of your glow. I used the medium shade this past weekend in Miami and was seriously impressed by how easy it was to use and the instant tan it gave my body. I suddenly looked pleasantly bronze with absolutely zero streaks or orange hints. 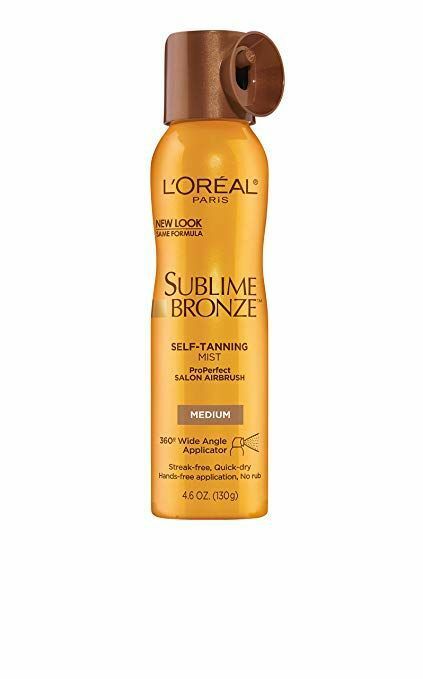 Unlike other body-bronzing products that give you an instant glow, there was no stickiness or oiliness. It just looked like my skin, but a tanner version of my skin. Keep scrolling to shop some of my other favorite body-bronzing products! 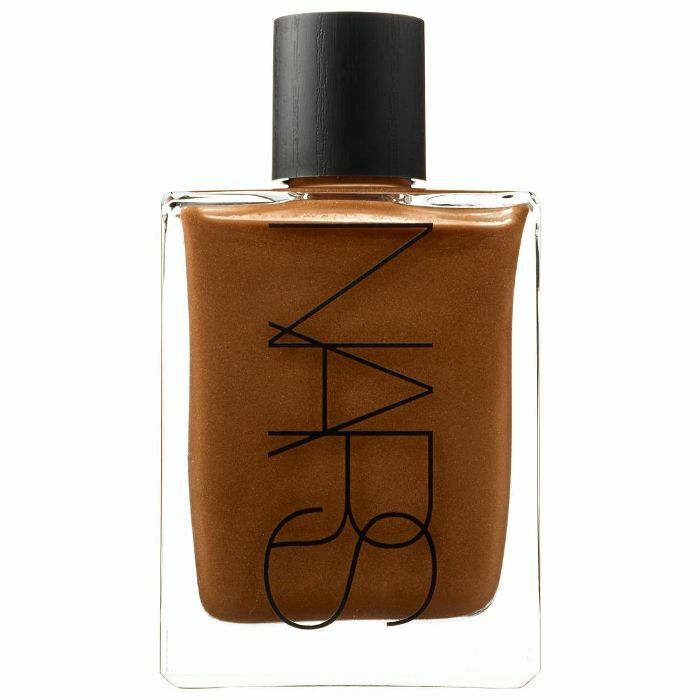 If you prefer self-tanner, click here for the 10 best self-tanners our editors love.